Study at a high school in China, become fluent in Mandarin, make friends with Chinese high school students and have a year full of adventure in Beijing. If you want, you can also get your Mandarin skills up quickly with a Chinese course at our Beijing Chinese language school before attending a high school in China. Students live with a Chinese host family while studying abroad and experience the international Chinese education system first hand. 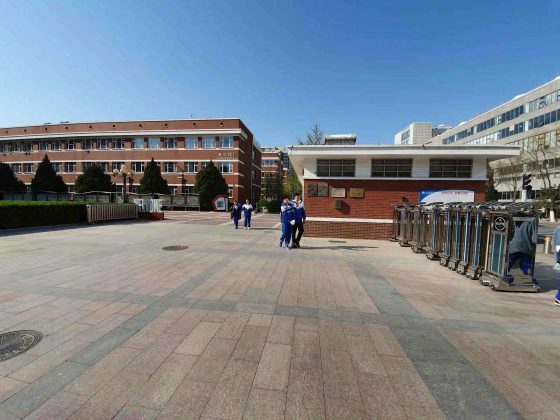 Studying at a high school in China is a once in a life time opportunity. You will experience a completely different culture, people, education system, and language while living in one of the world’s most exciting and fastest changing cities, Beijing. 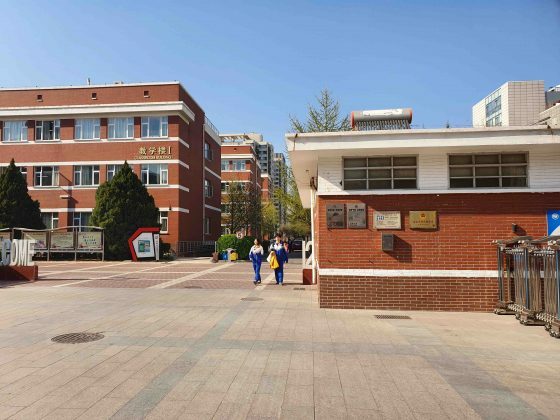 A Chinese high school might be quite different to the education system you are used to, yet in many ways quite similar too. 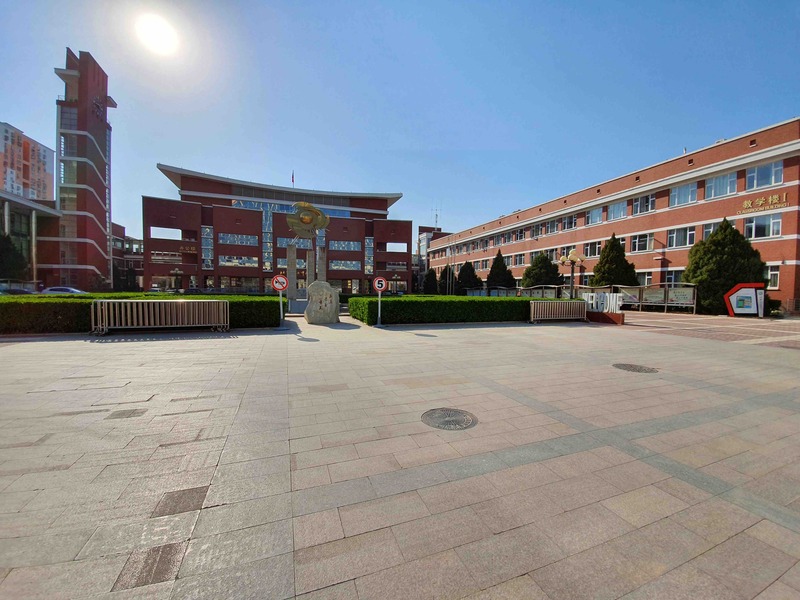 Beijing Southwest High School is an elite school that prepares Chinese high school students for attending university abroad, usually the United States. 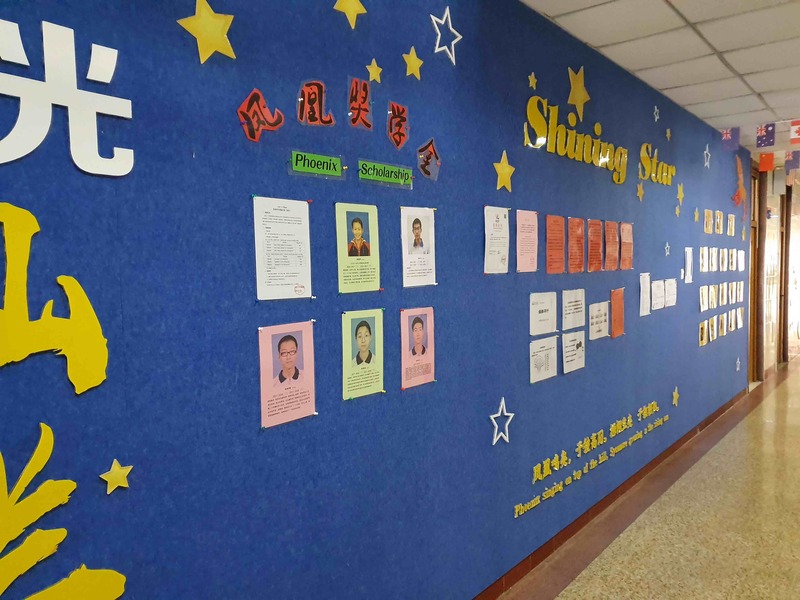 Classes are taught in either Mandarin or English, however because all teachers and most students are Chinese the common language throughout the school and most of the classes is Chinese. 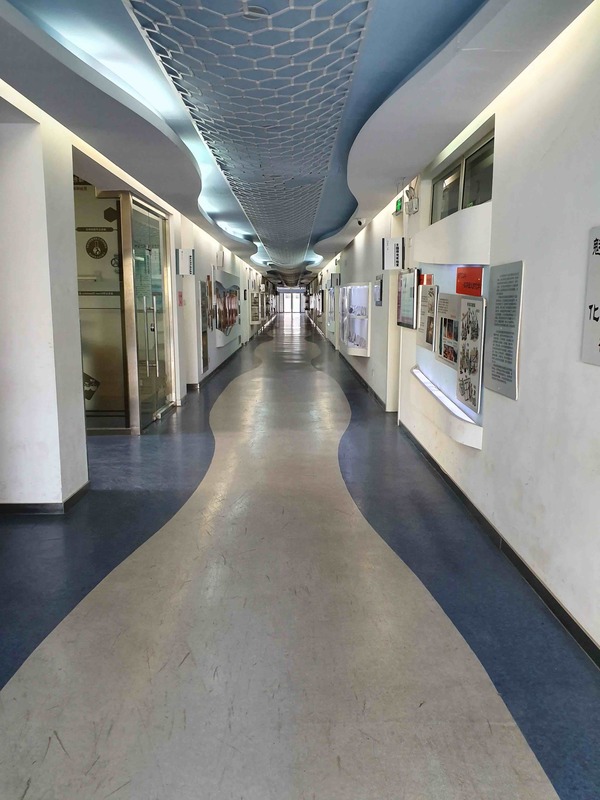 The school has excellent facilities, with a football court, swimming pool, track and field courts, two canteens, modern class rooms and a highly qualified teaching team. There are many after school activities and clubs, including music, sports, dancing, painting, calligraphy and so on. Students eat lunch together at the school canteen, but breakfast and dinner will be eaten with the homestay family. Your class will have approximately 20 other students in it and most likely you will be the only non-Chinese student. This means you might be a very popular person to sit next to, as there is usually quite a bit of competition who will sit next to the foreign exchange student next semester. 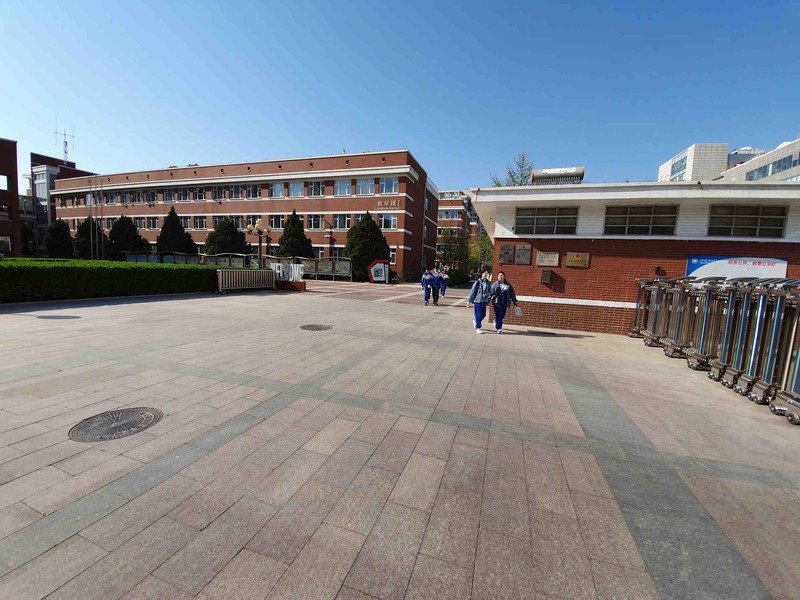 Getting into this Chinese high school is quite competitive and your class mates will be performing academically quite well. 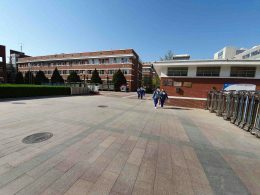 However, the general atmosphere is a bit more relaxed than at most other Chinese high schools, because the students plan to study abroad. 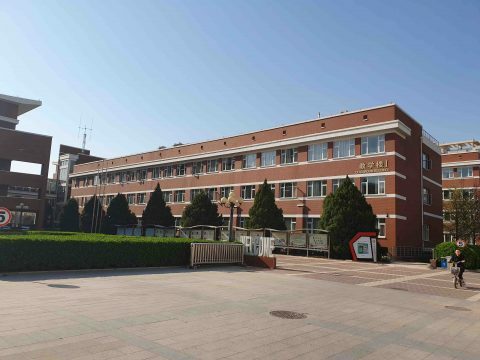 This means they will not have to take the super competitive Chinese gaokao university examinations that most teenagers between 15 and 18 spend almost all their time studying for, leaving little time to enjoy life outside school. Most students will have traveled abroad and speak comparatively good English. 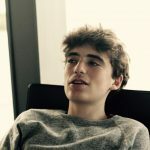 To give yourself a bit of time to settle into China and improve your Mandarin before starting high school, most students do several weeks of Chinese language course in Beijing first. Depending on when your summer holidays start this can be for anything from one to eight weeks. During the Chinese course, you will be studying four hours of Chinese in small group classes with other international students and be staying with a homestay family. NOTE – It is also possible to add an additional two hours of individual Chinese lessons to the group classes to get ahead faster. 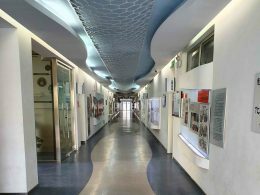 At the language school a lot of social activities are offered and you will very quickly meet other students from all over the world who also came to China to learn Mandarin. 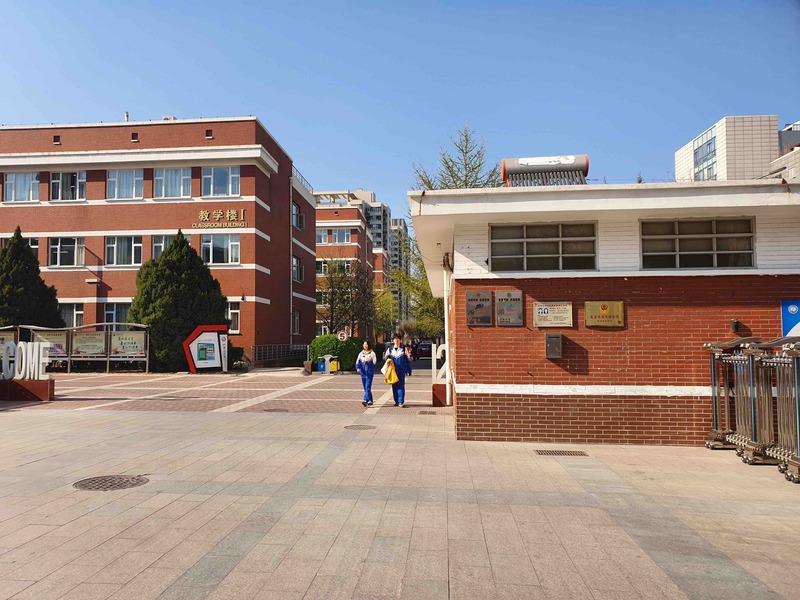 English is widely spoken and this is a very good first step to ease into China before immersing yourself fully into the culture and language in your new Chinese high school. 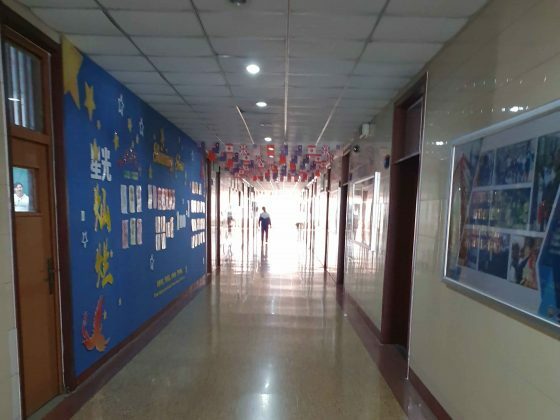 Once you are at your high school it is also possible to take individual Chinese classes during the weekends to help you to improve your Mandarin. You will be living with a friendly Chinese family that will be looking after you during your stay. Your room will either be shared with your host sibling or you can book the single room upgrade to have your own private room. The homestay is really the most fun and interesting part about spending a year abroad in China. You will eat daily freshly prepared Chinese food and be part of a Chinese family where you will practice your Mandarin every day and really get to know Chinese culture. At the same time there will always be someone to help and support you. Our families are famous for going out of their way to make sure host students feel comfortable. Accommodation is already included the price. You will live with a Chinese family in a shared room, with maximum 45 minutes travel time to the high school. WIFI, air-con, heating and all other bills are already included. Note: Small changes in the dates are possible, as the Education Ministry sometimes adjusts school starting dates by a few days. We will communicate any changes in dates with you in as much advance as possible. This experience of ten days in Beijing with LTL School was absolutely rousing! I’m completely satisfied and grateful! This trip in China was surely a great experience. The school and the teachers were very welcoming. When I was there I climbed the Great Wall, walked for entire hours, ate every type of food and met any kind of people. This school trip has as given me an important chance of growth and responsibility. For sure, a special thanks must go to LTL School and my teachers, who accompanied me during these 10 days. I learnt so much, and I had a lot of fun sightseeing in this awesome city. What an unforgettable experience! This trip in China was surely a great experience. Even if Chinese people have different habits, these 10 days have been a good occasion to improve our Chinese and to visit fantastic places. I really liked the trips the school organized for us, and in particular I enjoyed the trip on the Great wall and the visit to Summer Palace. The school and the teachers were very welcoming and I learned some new words I didn’t know. 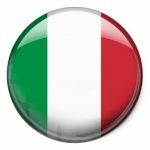 What should I do if I feel homesick? While everyone sometimes misses home, surprisingly homesickness has never been much of a problem for our China high school program participants. Beijing is an amazing city and once you are in it you will not want to leave. However, usually in China the first two weeks can be quite challenging. The food is different, nobody speaks English, Beijing is a very big city and often even smells differently. During that time many students require quite a lot of support from our team both practically and sometimes a bit emotionally too. We are here for you at all times, whatever you need. This is the great thing about having the whole LTL support team being based in Beijing. 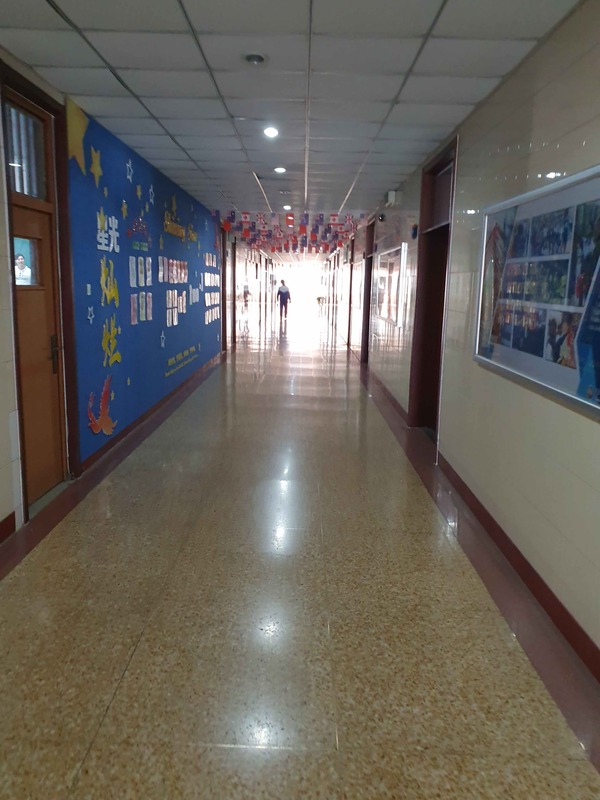 We will see each other regularly for school events, trips and dinners while you are at the high school and even more so if you do a preparation Mandarin course in Beijing before going to high school. What can I do during the Chinese New Year holidays? This is up to you. The dates of Chinese New Year are different every year, but it is usually either in late January or early February. 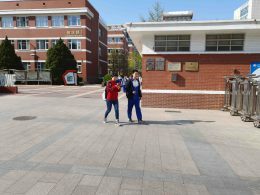 Many China high school program students fly home to see their parents during the break. You can also stay with your Chinese homestay family and experience the traditional new year celebrations in Beijing or your parents come to visit you in China and you travel around the country together for a few weeks. Chinese Holidays Explained – How Do Chinese Public Holidays Work? Can my parents come and visit me? Yes of course they can visit you. Your parents are welcome to visit you in China at any time. We can also help them with their visa invitations and organization of the trip. Can I travel home during the Chinese New Year holidays? Whom should I talk to if I have a problem? In addition to your high school, you will be part of the LTL social community here and we organize events, dinners and trips every week. We will see each other regularly, but if you have a problem, call us or come by our office at any time. Many issues we will be able to help you solve over a cup of tea in our office, but for anything serious we of course also offer 24/7 emergency support. While this of course depends on each person, students studying at a Chinese high school in Beijing for a year usually reach full fluency. What definitely helps is a preparation Mandarin course in Beijing at the beginning – the longer the better. Once you are at the high school, all your class mates will be Chinese and you will be speaking Mandarin every day. 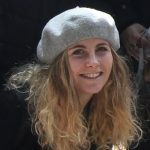 You will also soon discover that outside the tourist and expat areas in Beijing basically nobody speaks English and you will be speaking Mandarin pretty much all the time. You will discover that learning Mandarin is actually not as difficult as many people think it is. Once you got your tones under control and learn how the Chinese character system works, Chinese grammar is actually quite simple. We have been doing this for many years and the process is actually a lot simpler than many people think. Send us a message to let us know a bit more about you, when you want to come to China and ask any questions you might have. We will then organize a WhatsApp or phone interview with you and your parents to go through the program together and get to know you a bit more. Which classes are taught in Chinese and which in English? Literature, history, geography and politics are taught in Chinese, while mathematics and science classes are taught in both Chinese and English. However, even though many will be able to speak English your class mates will be Chinese and therefore the language used most of the time during class will be Mandarin. How do high school students in China connect online? Mainly through China’s most popular messaging platform: WeChat. The software is a bit of Facebook, Instagram and WhatsApp rolled into one. You will definitely need a WeChat account when living and studying in China. For the aforementioned 3 previous apps you will need a VPN.